MAGNIFICENT LAKE VIEW POOL HOME IN TERRA VISTA 3 BEDROOM 2 BATH 2 CAR GARAGE This ready to move in home has been updated & upgraded throughout including premium lighting&ceiling fans,ceramic tile floors,designer window treatments, crown molding to name just a few.Extremely desirable floor plan w/expansive indoor & outdoor living areas.Kitchen features wood cabinetry,ctr. 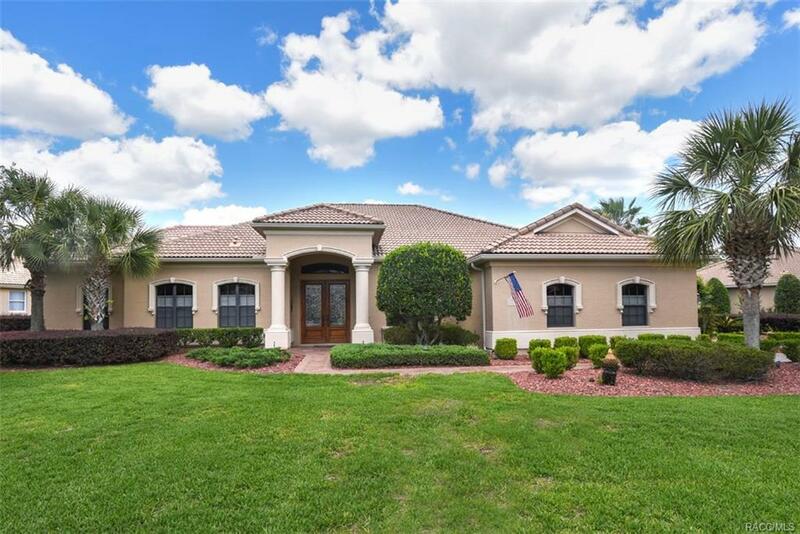 island,granite & stainless appliances.Owner's suite includes luxury bath,large laundry room,double walk-in closets &bedroom w/lake view.Beautiful lagoon pool,lusciously landscaped private backyard,oversized lanai & so much more make this the perfect home! All CHG&CC membership privileges.